Debunking Christianity: Why Do Christians Speak for God? Why Do Christians Speak for God? The god of the Bible sure has a lot of self-appointed press agents. In the Old Testament, Moses and the prophets spent a lot of time talking about what their god hated and loved. They detailed what behavior he expected, the loyalty and sacrifices that he demanded, and the ways he would retaliate if not obeyed. They revealed who god wanted killed, and under what circumstances. Whenever God was upset, feeling betrayed, or benevolent, his spokesmen let be known, as if they were divine mood rings. In the New Testament, Jesus claimed to speak for God, as did the self-declared, late-to-the-party Apostle Paul. Peter and other apostles also vied for acceptance as their god’s mouthpiece, and the competition sometimes got quite fierce. 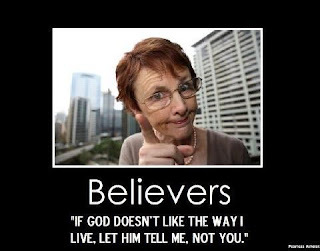 The point I would like to make is: In all of these instances, the only thing we actually have is humans telling us what their god thinks, feels, and wants. Never once do we have a miraculous voice from the sky in which God speaks for himself. We have lots of press agents, but never once a public sighting of, or statement from the celebrity they claim to represent. If the Christian God truly existed, and wanted to make his thoughts known, he should be able to do that quite easily. I mean, if the aliens in the TV show “V” could appear over 29 major cities simultaneously and communicate a message, then it should be no big deal for a god to do something similar. An unmistakably supernatural communication from Yahweh, which each person heard in their own language, with no middleman, would clear up all confusion sown by competing denominations and theologies. But it hasn’t happened, and it won’t. The reason it won't is because the god of the Bible doesn’t exist. That’s why Christians spend so much time speaking on his behalf. 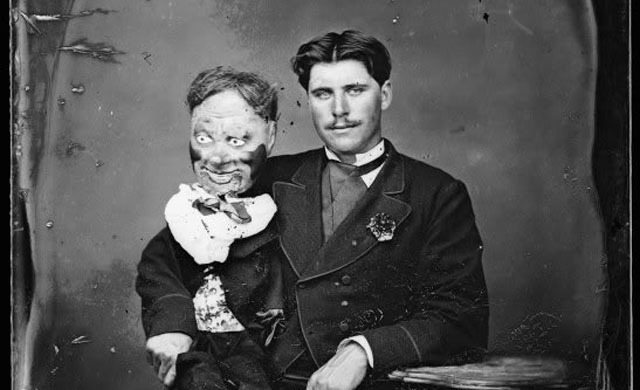 He is the dummy sitting on their knee, while they play the ventriloquist, projecting their fears and desires and prejudices with a godlike inflection. I think the fact that they talk so much on his behalf is a clue that deep in some dark, repressed corner of their reason, they know that if they stop speaking on behalf of God, there will be a deafening silence. So how about it Christians? A simple, modest experiment. For one month, no telling the world what your god wants, thinks, or hates. Also, while we’re at it, how about stopping the dishonest trickery of attributing things that humans accomplish to God – for example when doctors and nurses save a life , you don’t get to praise your Invisible Friend for that.